Considering the consequences of a rebranding initiative is a bit like riding a see-saw. Trying to guess how customers will respond alternates between the highs and lows, the potential great outcomes and the potential bottoming-out. This is one of the dynamics that drives market research. How can a company get a better handle on how its customers and potential customer will react when changes are made to the all-important brand logo? Research conducted by professors Michael Walsh at West Virginia University, Vikas Mittal at Rice University, and Karen Winterich at Smeal has illuminated the mysterious customer response to logo redesigns. The study, Do Logo Redesigns Help or Hurt Your Brand? The Role of Brand Commitment" was published in the Journal of Product & Brand Management in 2010. The researchers found that those who are most committed to a brand are more likely to oppose changes in their brand’s logo. Casual customers are less likely to have strong feelings about the brand logo change and they tend, on the whole, to see it as a positive change. But those loyal customers may allow their logo attachment to influence their customer brand attitude. The group of researchers voiced this most important "takeaway" from their study. Most companies presume that their most precious customers -- those having strong brand commitment -- will be more accommodating to changes. Our results show this is likely a mistaken assumption -- one that can alienate the core, the most committed of a brand's customers. Starbucks’ customers were all over the web and the social networks talking about the logo change and expressing their various and often vehement opinions. Starbucks didn’t just hunker down and wait for the customer flack to hit them. 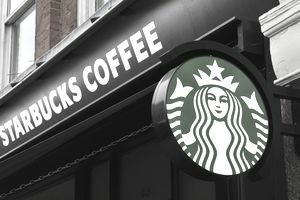 There is a strong platform for customer-brand engagement on the Starbucks website, and that platform was put to good use as Starbucks began the conversation with their customers about the impending change – well before it was upon them. The researchers in this study experimented with some popular brands to see how 632 undergraduate students would feel about redesigns of the logos for New Balance and Adidas sports shoes. Two redesigns were created for each brand’s logo by a professional graphic designer. The degree of change to the logo differed substantially, with one redesign quite similar to the original logo and the second redesign remarkably different from the old logo. Each subject in the study responded to a survey about their commitment to the brand twice – once after looking at the original brand and then after looking out one of the logo redesigns. Their hypothesis was supported as the stronger the commitment to the brand, the less the customer liked the redesign, and particularly the redesign that was substantially changed. The researchers believe that those customers who have a strong commitment to the brand are likely to view the logo change as a shift in their relationship with the brand. Hence, Winterich and her co-authors argue that a nuanced approach to logo redesign is the prudent avenue for companies to take. Further, the researchers suggest that it is a good idea to solicit input about the redesign from those customers who demonstrate the most commitment – and perhaps to notify those customers before the logo changes have been revealed to the general public. Giving the strongly committed such a feeling of being an 'insider' may strengthen their self-brand connection and mitigate the potentially negative effects of a logo redesign. It would appear that the savvy Starbucks marketing and creative team got there first. Those are precisely the strategies they employed in the run-up to the logo change. Starbucks started early and they focused on being clear and transparent about their intentions while communicating the importance to Starbucks of their customer’s opinions. I have a passion for coffee. I like the way that it really has the ability to bring people together. I like the conversations around it. I like being able to have a common ground to connect with people about. Most of all, I fall in love with those moments when you can see some deep joy in a person’s eyes over discovering a new coffee, learning about coffee, or just hanging out around the coffee – even if not drinking it. This excerpt from Melody’s blog exemplifies the deep connection a ​customer advocate can have for a brand they care about. Melody is in the long-tail -- not many customers are likely to make writing a blog about Starbucks a hobby – and represents the outer edge of a distribution of customers who have a relationship with Starbucks. Brands everywhere are eager to learn how to attract customer advocates like Melody.